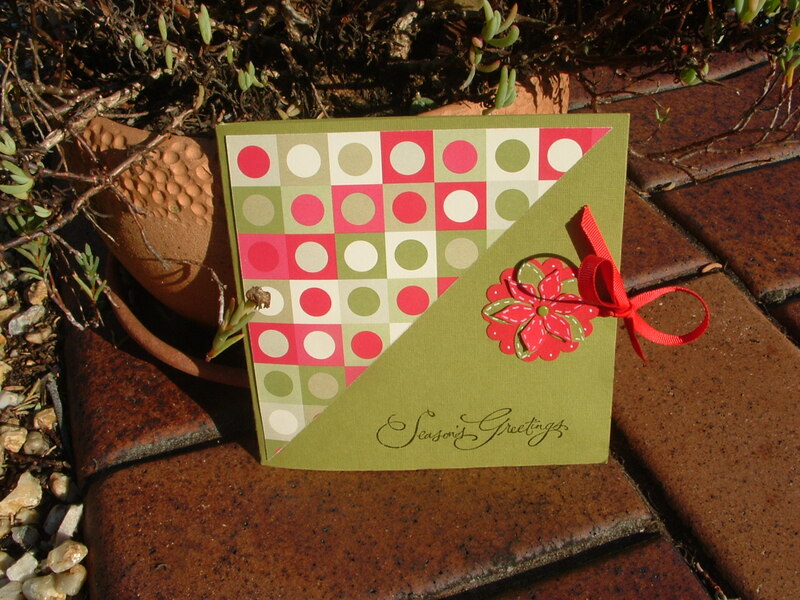 This is the CD/DVD Gift Card from my Christmas Container Workshop. It’s a really quick and easy project made from one 12 x 12 sheet of cardstock. Email me if you would like the instructions. There really isn’t much to it! 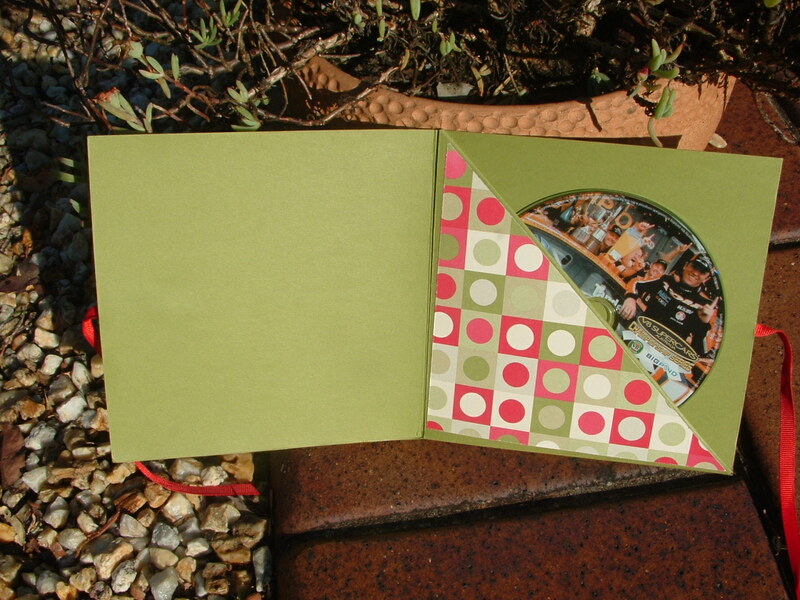 It could be made for a double CD/DVD also, or just leave the left hand side blank to write your greeting/message. Red grosgrain ribbon and white gel pen to highlight. My daughter, Aedita (now known as the Golden Child by her siblings….) is a photographer, in Perth. She plans to use these when she gives her clients a disc of the photographs she has taken at weddings, engagements etc. What do you mean I have to make them myself? huh? I don’t see you make blog by yourself…. huh?